Today I am inaugurating a new section on the blog: the Beauty Section! I am so excited to open up this space for another one of my passions. I am no expert in beauty and makeup, but I will be getting advice from experts and also showing you tips that I have learned along the way. Today I'll be talking about the smokey eye, a must for any woman but not always the easiest. I will admitt that I really struggle to do a black smokey eye which is why I asked Camilo, the head makeup artist for Dior in Colombia, to show me how to get the perfect easy smokey eye step by step. This is a great smokey eye for brown eyes, but it fits all eye colours! Camilo explained to me that when you apply a light cream base it will be much harder to achieve a darker finish, but a dark base will be able to show the true potential of the eyeshadow. On me he used the creamy black base that comes in the Dior palette 5 couleurs in number 008. I had heard of this tip before but I didn't really think it was as important as I found out that day. It gives a really sharp finish to the makeup and avoids that dreaded panda eye that is very common when doing a dark smokey eye. Just remember to place the tape on the back of your hand before putting it on your eyes to avoid pulling the sensitive skin of the eye. Place the tape from the ends of your lash line to the edge of your brows. This is quite a basic tip, but Camilo told me that if you use the tape as a guide and begin there as opposed to your lash line you will avoid the overly round eye that sometimes happens. Also remember blending is a MUST when you are using dark colours! If you use a light shimmering/glittering eyeshadow right in the middle of your lids it will make your eyes sparkle everytime you blink. It also gives more dimension to your eye. 5. 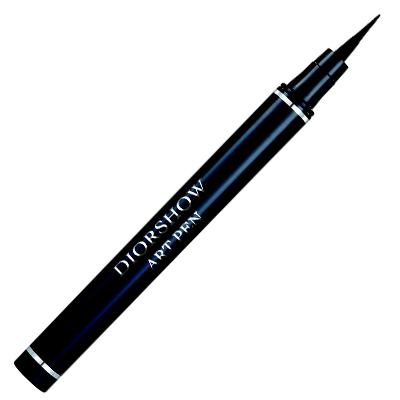 Guide the flick of your eyeliner by the edge of the eye shadow made from the tape. I don't know about you guys, but I suffer whenever I have to do my eyeliner. I can never get it to look even, but if you just run the felt tip liner along tha line already created when you remove the tape, you will get the most gorgeous and even eyeliner. You can find all the products at any La Riviera store! There is a 20% discount for all those who register, so be sure to check it out! I hope you enjoyed this new section on Fashion Shower Blog! Comment down bellow what your favourite products are for a dark smokey eye and also anything you might want to see in this space!